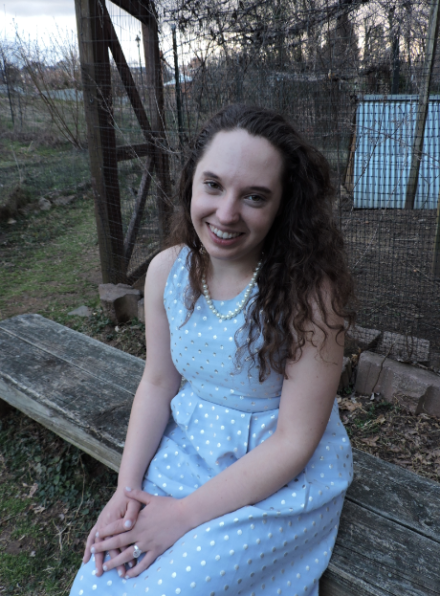 Mary Ellen Golcheski holds a Bachelor of Science in Music from Radford University. At Radford, Ms. Golcheski studied music performance and music therapy. Notably, Mary Ellen was the principal oboist during her time at Radford University and performed with Virginia Tech’s orchestra on English horn. While studying music therapy, Ms. Golcheski worked with people of all ages, but had a special connection towards those with various needs. Mary Ellen taught piano to children with intellectual, physical, and emotional disabilities and submitted a proposal to the national music therapy association to provide a music class for each special education class across the nation. Upon graduating from Radford University she moved to Washington D.C., where she began working with preschoolers and kindergarteners in an educational setting. While she was a teacher in D.C.’s public charter sector, she was still a freelance musician, often performing in trios, quartets, and quintets throughout the DMV region. Ms. Golcheski has performed at the DAR Constitution Hall, The French Embassy, The Atlas Theater, as well as the Meyerhoff Hall. Mary Ellen is currently developing an early childhood music curriculum for a public school in D.C. and is also their music educator. Ms. Golcheski was recently selected to be on the panel for the D.C.Commission on the Arts and Humanities, where she will be apart of the process in reviewing the cultural events that may come into the city.